In 2015, the United Nations challenged the scientific community to evaluate development pathways consistent with the goal of limiting global average temperature increase to 1.5 °C. This study reports analysis that was carried out as part of a project responding to that challenge. Using recently developed methods for regional integrated assessment of agricultural systems, this study evaluates the economic and environmental performance of dryland farming systems in the United States of America (U.S). Pacific Northwest, a major wheat (Triticum aestivum) production region, under greenhouse gas mitigation and policy scenarios consistent with the 1.5 °C goal. A novel feature of this study is to combine bio-physical and economic models with site-specific life cycle analysis to evaluate both the economic performance of current and possible alternative farming systems. The analysis shows that these farming systems could be adapted through changes in management to reduce soil emissions of greenhouse gases and incorporation of new biofuel crops, and could be affected by changes in prices and costs of production associated with greenhouse gas mitigation policies. These changes could result in a win-win outcome for those farms in the Pacific Northwest region where site-specific conditions are suited to these adaptations, providing both higher farm incomes and contributing to greenhouse gas emissions reductions. 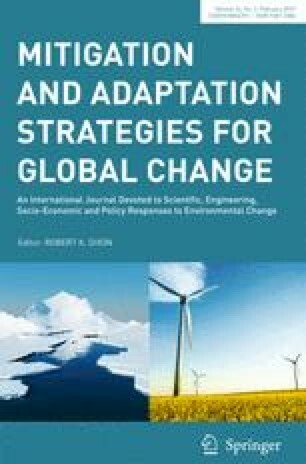 A key implication for mitigation and adaptation strategies is the need to coordinate climate policy design and development of technologies needed to achieve policy goals. This research was supported in part by the US Department of Agriculture (USDA OCE grant 58-0111-16-010) and by the Oregon State University College of Agriculture.